We’re now in the Economy of Communion’s twentieth year. And birthdays, as we know, are also important moments to weigh how things are and set new horizons. The EoC, as we familiarly say, is alive and growing in today’s history, in the crises and hopes of our time. Chiara’s proposal to give life to business and business parks, and then (in May of 1998) to a cultural movement that would give “scientific dignity” to the praxis in place, did not fall on deaf ears. It was embraced by thousands of people, mostly within but more recently even outside of the Focolare Movement – a diverse people united by the desire to cultivate the earth so that the seed of the charism of unity, thrown on the terrain of modern economy, grows according to the laws written in its DNA and brings fruits typical of the charism given to Chiara, as a gift for humanity today and tomorrow. This is the third report we’re presenting on the EoC. 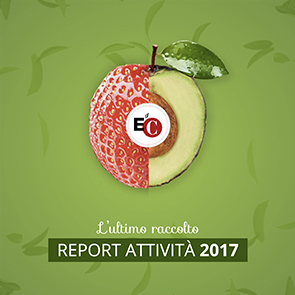 This year, besides detailed data on the use of profits and the EoC’s projects, we also give an complete account of EoC activity. Not only does the EoC give life to development projects to help those in need (especially youth) escape the trap of poverty, but it is also bringing about a new culture from the bottom up, in silence, and it’s changing the lives of hundreds of entrepreneurs and tens of thousands of workers. Therefore, the poor, culture and enterprise: “a third, a third, a third”, Chiara’s first intuition. It should not be interpreted that the EoC has a threefold goal but rather that there are three steps of the same process of communion. This is how the project can give its contribution to the charismatic project of the entire Focolare Movement: that all may be one. There will never be a united world if the economy is not one of communion. We will never “all be one” as long as people are unable to eat, unable to send their own children to school, unable to cultivate their own humanity, vocations and aspirations – as long as there are skyscrapers surrounded by “crowns of thorns”. The united world will always be ahead of us, as is every word of the Gospel that begins within history but is fulfilled beyond it, as every “great” Word is both an “already” and a “not yet”. Charisms are always an already that indicates a not yet. Therefore, they are an already. If, already today, the EoC will know how to say that hundreds, thousands of entrepreneurs exist who are capable of waking up at five in the morning for reasons greater than profit; that there are already workers who know how to be happy with a market salary and don’t ask for raises because they know that the added value from their work does not go into the pockets of their “bosses” but leaves the business to feed the hungry, heal and educate; if the EoC will know how to show that there are already people who do not rest until the fraternity they believe in as human beings is not translated into equal rights, opportunity, capacity, for all women, children and men of the world. If all of this is already true, then we can seriously hope in the coming of many others who are not yet in front of us. What, however, can the “small EoC” do in front of too many people of our time who could and should be with us already and are not just because of our spite and smallness? (And the data of the report clearly show how small our numbers are, if we compare them to the large numbers in philanthropy and international cooperation.) Today, humanity would already have the technological and financial resources to do much more on this earth "already" – not everything, but much more than what we are already doing. We could and should do more in the area of education in poorer countries. When will we see the best teachers of the opulent world spend a semester in the fragile universities of Africa, Cambodia or Cochabamba? When will we see serious investments (more than 50%) in renewable energy? When will all public administrations, the Vatican and dioceses, movements and NGOs buy only ecological and low capacity cars? When will all businesses and governments of the world invest 20-30% of their GDP in serious cooperation to development, which cannot be limited to the crumbs of rich gluttons but should already become educational expenditures (from preschool to university), hospitals (the best hospitals in the world today should be found in Africa), more advanced and cleaner technology, efficient and safe transportation, healthy and dignified dwellings? Without these things now, what is yet to come in the following decades could included new global crises and maybe even wars that are truly global, as Aristotle’s phrase “you cannot be happy alone” is always more true. Even the EoC can and should do more than what is has done in these twenty years, despite the rich and flavorful fruits seen, least of all the many EoC entrepreneurs and workers who have already concluded their earthly voyage (including François Neveux, whose biography is the most beautiful book published on the EoC as it is written with the ink of life). As a sign of greater commitment and responsibility, this year, besides the Brazil 2011 event in May (we are all invited! ), the worldwide EoC launched “Project Youth”, that will include two important international summer schools in January: in Latin America and in Africa. Starting from the youth (who are not the future but a different way of living and understanding the present) is indispensible for the many who are “not yet” who ask to become “already”. In the consumer culture that dominates today’s world, the EoC can and should be a place of resistance, where every business and every business park is an oasis (not an island), as the Medieval abbeys were in their day, where many can find hope and where the DNA of gratuitousness is conserved. In a world where money can buy (almost) everything, money tends to become everything. Remembering and living the culture of giving and of gratuitousness in this age has great value, not only economically but as cultural resistance, as a battle of civilization, of love for humanity today and tomorrow.